Home Past Giveaways/Contests Ultimate Mardi Gras Gift Basket GIVEAWAY! Ultimate Mardi Gras Gift Basket GIVEAWAY! CONGRATULATIONS to Nancy Phan! She is the winner of the Ultimate Mardi Gras Gift Basket from Haydel's Bakery in New Orleans! Thank you to everyone who entered the giveaway! Be sure to stick around for more great giveaways in the future! 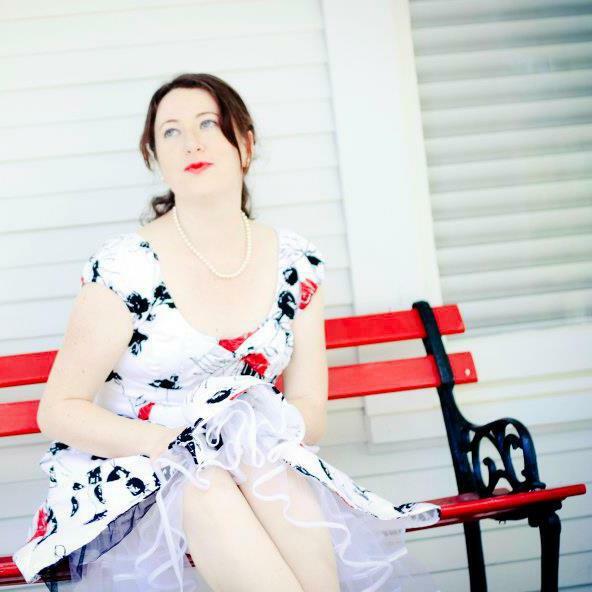 I've partnered with The Coupon Queen and A Turtle's Life for Me for a great giveaway! The winner will receive the Ultimate Mardi Gras gift basket from the world famous Haydel's Bakery in New Orleans, Louisiana, which includes: your choice of one large Traditional or Filled King Cake plus... Haydel’s own Mambo Beat Mardi Gras Magazine, a king cake history scroll, one pack of French Market Coffee, Haydel's Specialty Bead Pack, this year's handcrafted Porcelain Collectible (while supplies last), Mardi Gras CD, Mardi Gras poster and a Mardi Gras cup. This package is worth nearly 60 dollars! For those who don't know what a King Cake is, it's a cinnamon-sugar braided yeast bread, stuffed with your choice of fillings, topped with white icing, and colored sugars. 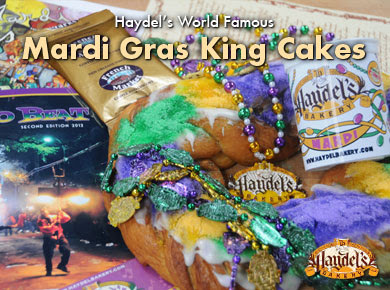 It's a tradition in Louisiana around Mardi Gras, and Haydel's is arguably the BEST King Cakes in Louisiana! Want to enter to win this fabulous gift basket?! Here's the entry form! Good luck and "Laissez le bon ton roulet!" How often can you enter? Just found your blog. Love your tutorials! Thanks for all the great recipe options! Thanks for chane to win Mardi Gras basket. You can only enter once (but can have up to seven entries). I'm excited to try all your yummy bread recipes!